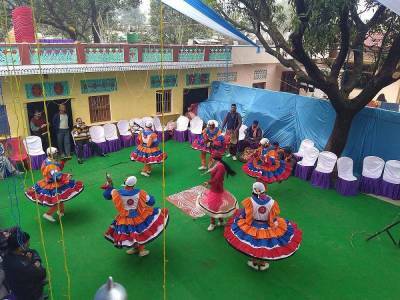 Chholiya is not just a dance form typical to the Kshatriya natives of the Kumaon hills region in the Indian state of Uttarakhand, but has strong roots attached to the heritage and tradition of the primitive and dated culture of these hills that can be traced back as far as thousands of years back in time. 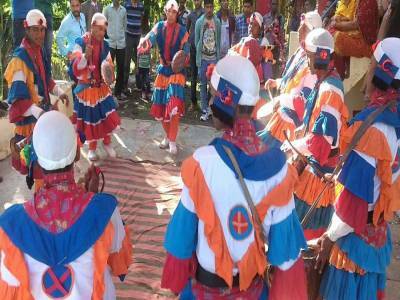 Initially an entertainment form to display the fabled valour and bravery of the Kshatriyas native of the Kumaon region, it was later developed as a dance form and is rich in traditional attire, indigenous choreography and display of weapons. The dance format is an amazing display of the amalgamation of the intensity of battle and the footwork and is a musical rendition of the emotions of battle and the pride of martial races. The dance is accompanied by battle music reflecting the intensity of war and the dance troupe is equipped with real weapons of war such as swords and spears and shields. It is amazing how dancers balance their weight and that of their attire to perform such intricate movements synchronized with each other. The whole presentation is an enactment of war and communicating the emotions of warriors as they succumb to fate and yet their courage is undeterred. 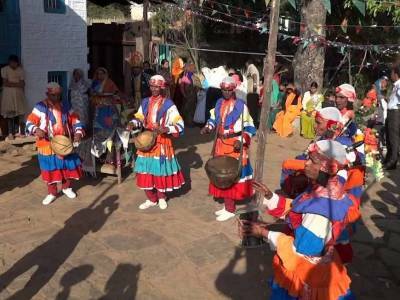 Chholiya dance traditionally enacts popular battle sequences or celebrates the valour of a brave martyr being role played by skilled dancers who move in perfect synchrony to align themselves to the sequences in the timeline of the dance play. Some Chholiya dance forms such as rann nritya as the name suggests involves mock fights enacted by dancers recreating the ferocity of battle. Some of the unmistakeable props used along with traditional attire for Chholiya dance conventionally includes a red triangular flag embossed with the emblem of a sultanate or a kingdom, original weapons such a swords and daggers and the faces of dancers painted in war colours to extend as much authenticity to the enactment of war by dancers as possible. 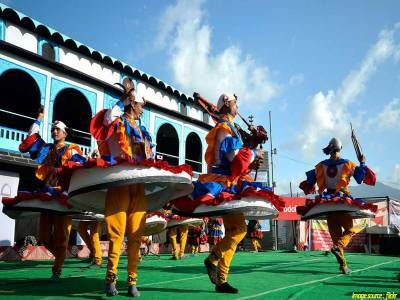 A traditional Chholiya dance troupe consists of 22 men of which 8 are the sword dancers who can time wielding their weapons with their body movement accurately, and the remaining 14 are trained musicians well versed in the nuances of their skill. 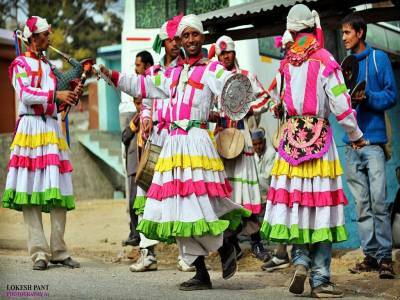 Get quick answers from travelers who visit to Chholiya Folk Dance.